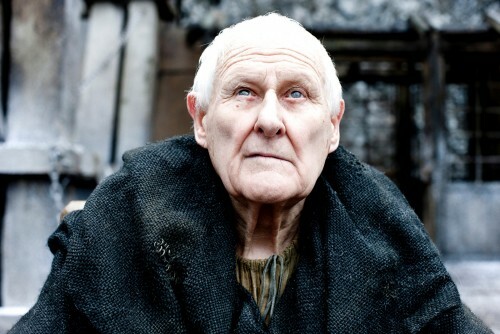 Maester Aemon is just shy of 100 years old, and has served at Castle Black at for well over sixty years. He is blind and requires the assistance of a pair of stewards, but is still highly esteemed. He has counseled a dozen Lord Commanders of the Night’s Watch in his time. The actor cast in the role is approximately 12 years younger than the character as described.